2. Melt butter in a medium skillet over medium heat. 3. Add onions and sugar and stir together. Cook mixture until onions are lightly caramelized, but still have body to them, 8 to 10 minutes. Season with salt and pepper. Remove from heat and allow onions to cool, about 15 minutes. 4. Combine pulled pork, barbecue sauce, shredded cheese, onions, and pepper into a large mixing bowl and completely mix together. Set aside. 5. To assemble: Roll chilled dough out onto a lightly floured surface into a 18” x 27” rectangle. 6. Cut out 3, 6”x 9” rectangles and brush the surface of each with the beaten egg. 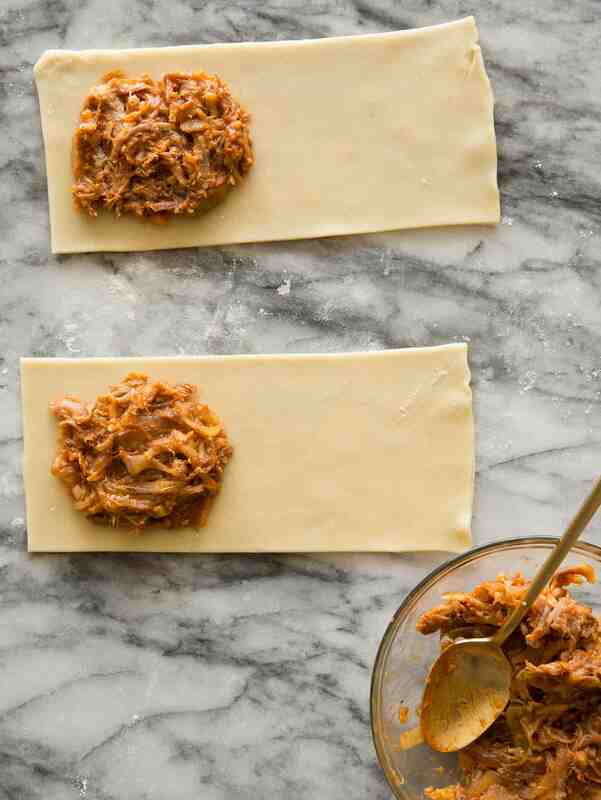 place 1/3 cup of the filling mixture into the bottom half of each rectangle (leaving a 1/4 inch border). 7. Fold the top half of the rectangle-cut dough over the filling and gently press around the edges, getting rid of any air pockets. Using the back of a fork, seal the open edges. 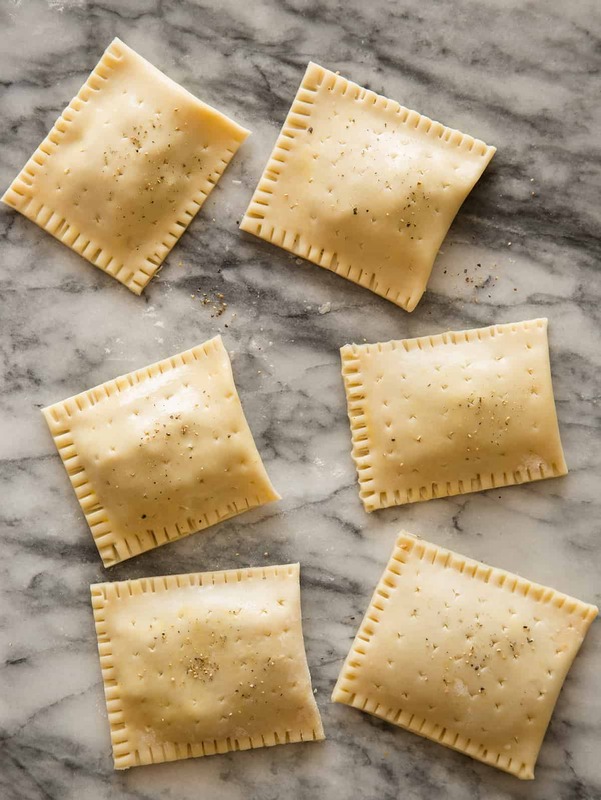 Gently score the top of each pop tart and brush with egg wash. Place them onto a parchment lined baking sheet, 1 inch apart and place in the freezer. 8. Repeat steps 5-7 with the remaining dough and filling. 9. Allow pop tarts to freeze for about 15-20 minutes, before baking in the oven for 20 to 25 minutes or until the pop tarts are golden brown. 10. 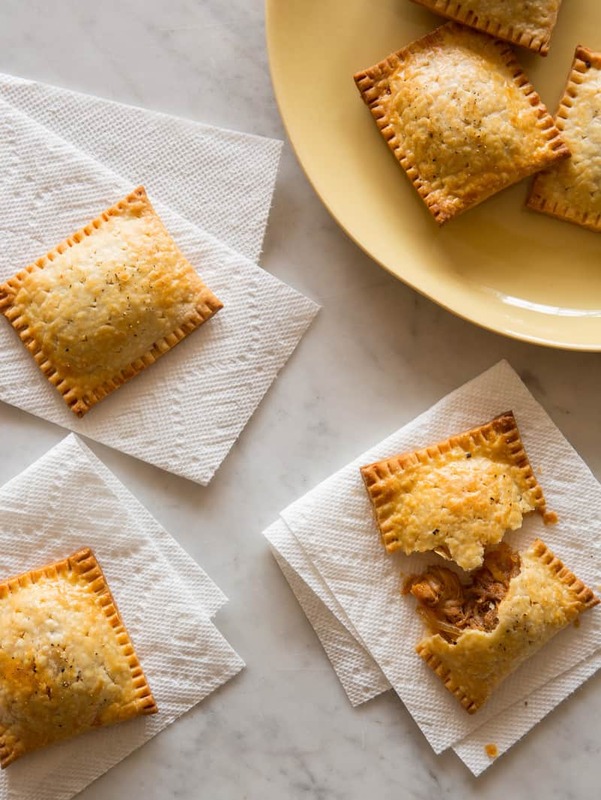 Allow pop tarts to cool, about 10 minutes, before serving. in a word, amazing. this is something i would LOVE to eat, both because of its taste and the element of fun! :) bravo! How yummy do these sound! I seriously want these at my Superbowl party. Pinned! I LOVE anything wrapped in pie dough, and this cream cheese dough looks amazing. Pinning this recipe! 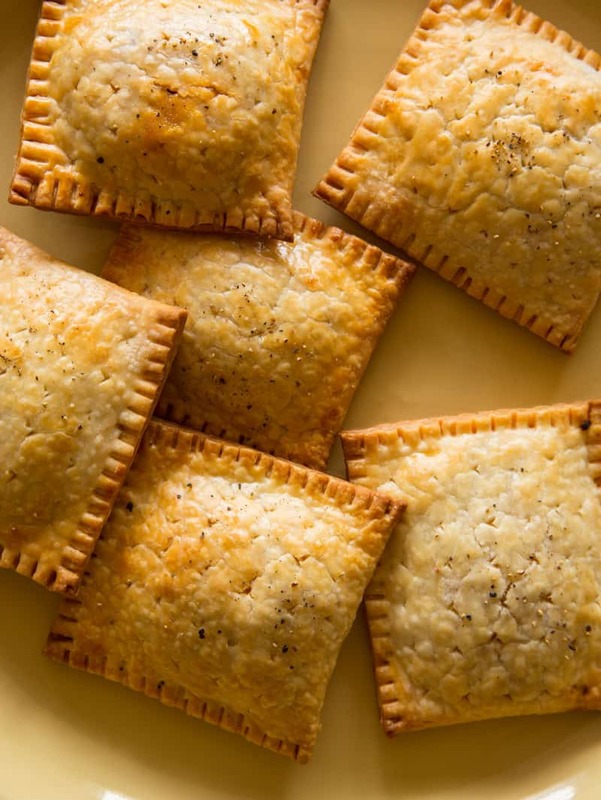 I’m a sucker for a homemade pop tart, but haven’t ventured into the savory world for them yet. These sound delicious! 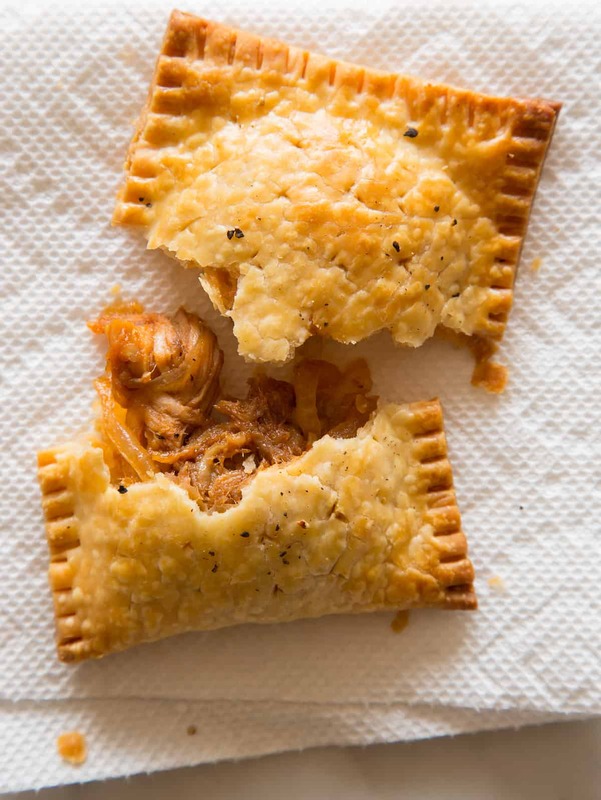 I’m sure the buttery pastry base with cream cheese goes perfectly with the pulled pork. yum! filing these away for Feb!!! What a great idea! My superbowl guests will be so impressed. Wow , do these ever look good! These look delicious! These would be great to have in the freezer to bake off on a night I don’t feel like cooking either. Thanks for the recipe! 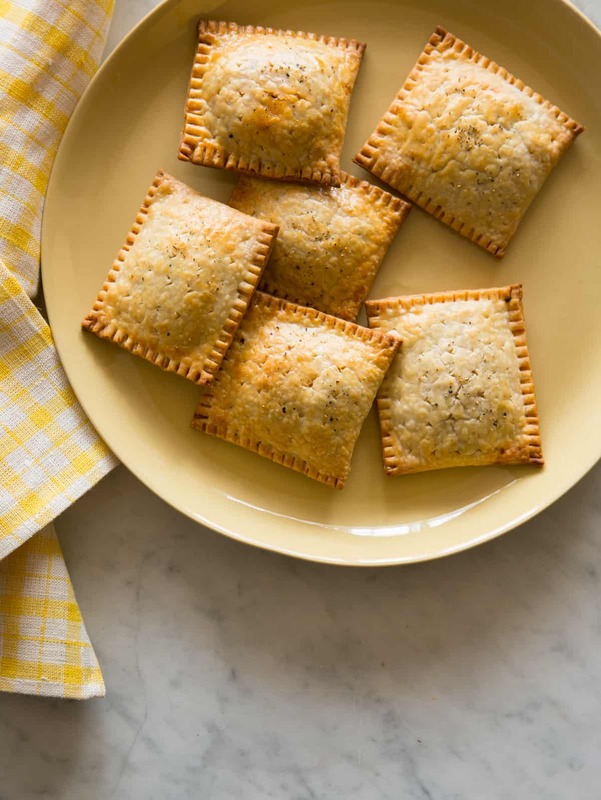 These remind me of an easy empenada recipe I use to use all the time. Great reminder! These also look like a great item I can put out for The Super Bowl! Hi there, these look great! How big do they turn out though? I’m heading to a Super Bowl party and want to make enough for 20ish people, so was thinking about making bite-size versions. They each end up about 3.5″x2.5″, but you can make them as big of small as you’d like! These look incredible-can they be stored in the freezer for longer than 20-25 minutes if you want to make them in advance or would you recommend refrigerating until you are ready to bake? Thanks! You can definitely keep them frozen until ready to bake, they’ll just take longer to bake! Great, thank you! Can’t wait to try them. These look awesome. But please clarify. Do you roll 1/2 recipe of dough to 18×27? If you cut the pieces to 6×9, does one recipe make 9? Recipe says it makes 6. And I assume the amount of filling here is for 1/2 of the dough? Yes and then you use the remaining dough…it’s just easier to handle half the dough at a time! Do you have a recipe for the cream cheese crust? If you click on the yellow link, it should take you to our cream cheese crust recipe! Can you use store bought pastry dough instead of the homemade dough?